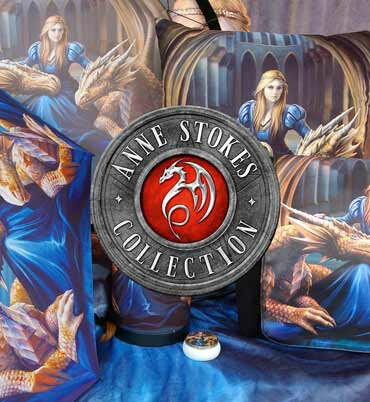 From the magical fantasy imagination of leading gothic and alternative artist Anne Stokes. Surrounded by tangled roots, a young woman with long brown hair clutches a white wolf protectively. They look at you together suspiciously, fear in their eyes as the roots of the forest curl around them.